TORONTO -- Major grocery store chains continue to expand their online shopping offerings as Canadians become more amenable to buying food on the Internet. Loblaw launched its click-and-collect program that allows customers to order their groceries online and pick them up at a store in the fall of 2014. 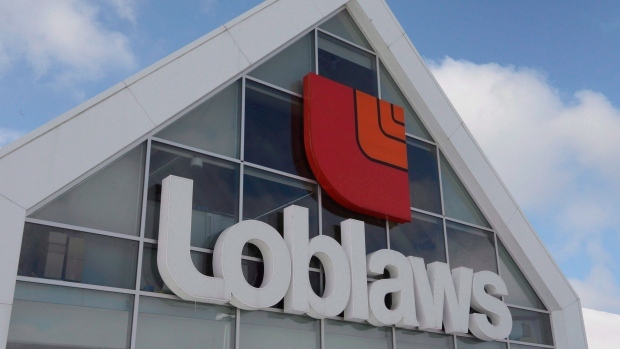 The service is now available at 60 Loblaw stores, said Jeremy Pee, the company's senior vice-president of e-commerce. The company plans to add another 20 stores over the next couple of months, he said, in Calgary, Winnipeg, the greater Toronto area, Saskatoon and throughout B.C. Currently, stores under its Loblaws, Zehrs, Real Canadian Superstore and Wholesale Club banners are the only ones where the program has been rolled out. But the grocery retailer plans to include some of its other banners in the future, Pee said, though that rollout plan doesn't include Shoppers Drug Mart. Loblaw wouldn't divulge how many people have tried its online grocery service, but Pee said about 80 per cent of those who try it once return for a second visit and many, especially busy parents, become repeat customers. Its competitor, Walmart Canada, also seems to be finding success with its grocery pickup offering. It launched a similar program in Ottawa about a year ago, and in February expanded to a dozen stores in the GTA. The expansions come despite the fact that Canadians have been slow to warm to online grocery shopping. Fewer than one per cent of Canadians' total food purchasing happens online, according to a January report from BMO Capital Markets analyst Peter Sklar. Meanwhile, Americans buy three per cent of their food online, while in the U.K. that number jumps to four per cent, according to his report. But Sylvain Charlebois, the dean of the faculty of management at Dalhousie University in Halifax, says the Canadian online grocery market is "maturing quite rapidly." Charlebois said that the one per cent figure is likely closer to two per cent now as busy Canadians look to save time on grocery trips, and both online-shopping savvy millennials and aging boomers test the services. The slow adoption in Canada is less about consumers lacking the desire to shop from the comforts of home and more about the industry not recognizing the potential in e-commerce, he said. The click-and-collect model offers grocers a low-risk, less costly method to enter the virtual world than grocery delivery, Charlebois said, which can be difficult in Canada's rural areas. Few options for grocery home delivery exist in Canada. Some companies without physical grocery stores -- like Grocery Gateway, which partners with Longo's in the Toronto area -- deliver boxes of groceries, including fresh produce, to the doorsteps of their customers, while IGA, Thrifty Foods and CostCo offer some delivery services as well. Loblaw has no plans to start a home delivery service, Pee said. The company heard from customers that they don't like having to wait long periods at home for delivery, he said. But he added Loblaw will continue to evaluate the market as it keeps expanding. Charlebois said he anticipates Canadians will purchase about 10 per cent of their food online within the next 10 or 15 years. But he would be surprised if it ever surpassed that. "A lot of people want to go into a store," he said. "We're social beasts. We want to interact. We want to touch."